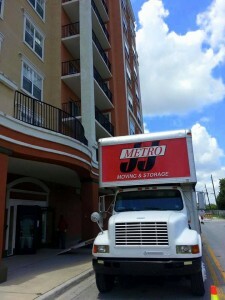 If you are moving from, or to, an apartment make sure you reserve the elevator well in advance of your move. Ask the building management about moving restrictions they have. Secure parking access for the moving truck. The closer the better. 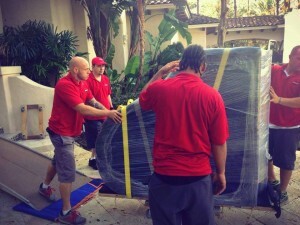 If you are doing the packing be sure to have it done before the moving crew arrives. Mark each box with your name and the room where you want it placed. 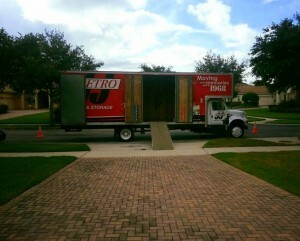 Everything you can do to save time, will save you money as shown in our Orlando Moving Tips! Eliminate everything you won’t move. Notify post office of new address. Notify schools, have transcripts forwarded. Arrange pet shipment and immunization records. Begin to use up the food in your freezer. Arrange for packing cartons needed. Make hotel reservations, reconfirm later. Decide what items of low value, high weight you are going to give to charity. Get a signed receipt for what you give away to use for tax return. Do your packing a little bit at a time. Don’t wear yourself out. Collect clothing, items to clean, repair. Have a garage sale to eliminate articles you don’t want to move. Take down curtains, rods, shelves, TV antenna. Withdraw the contents of your safe deposit box. If traveling with pets, get tranquilizers for the trip. Make sure vaccinations and papers are in order. Use your kitchen cart or server as a mobile packing table. Return things borrowed, collect those loaned. Arrange to connect same at new home. Make arrangements to have heavy appliances serviced for move. Have car tune-up for the trip. Check oil, water, battery and tires. Set things aside to pack in car. Get sitter for moving day. Make up “Do not move” cartons for articles to be taken in car.